The publication named its honoree Monday in conjunction with the Los Angeles Auto Show. The winner, the Genesis G70, competed against 19 other cars in an evaluation of the 2019 model year's best. WASHINGTON — MotorTrend has picked its 2019 Car of the Year: The Genesis G70. It’s the first time the Korean luxury brand has claimed the honor. 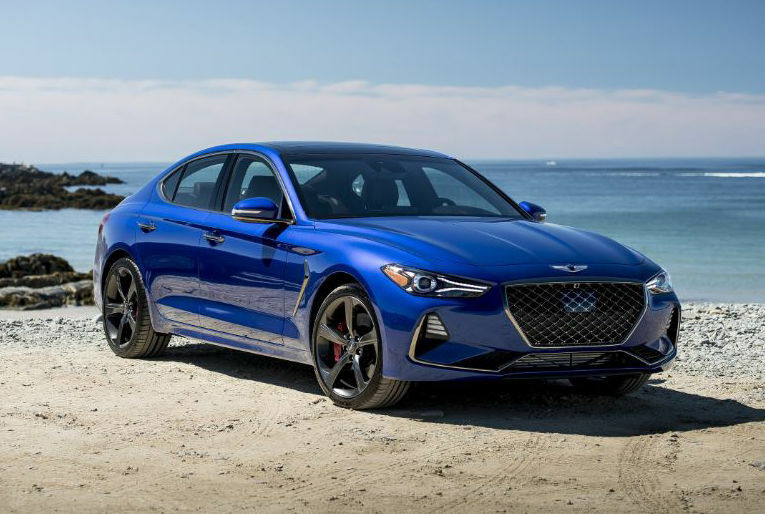 The G70 competed against 19 other models in the publication’s evaluation of the 2019 model year’s best cars. Editors put those vehicles through their paces, both on the street and on a test track. “Genesis G70 democratizes safety, technology, and luxury, with a price point that will surprise and delight everyone — but its competition,” MotorTrend Editor-in-Chief Ed Loh said in a statement. Prices for the 2019 G70 range from $34,900 to $52,250. MotorTrend named its honoree Monday in conjunction with the Los Angeles Auto Show.